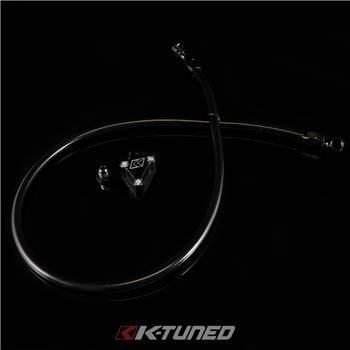 K-Tuned Power Steering Line Kit - Dezod Motorsports Inc - Home of the automotive performance enthusiast since 2002. 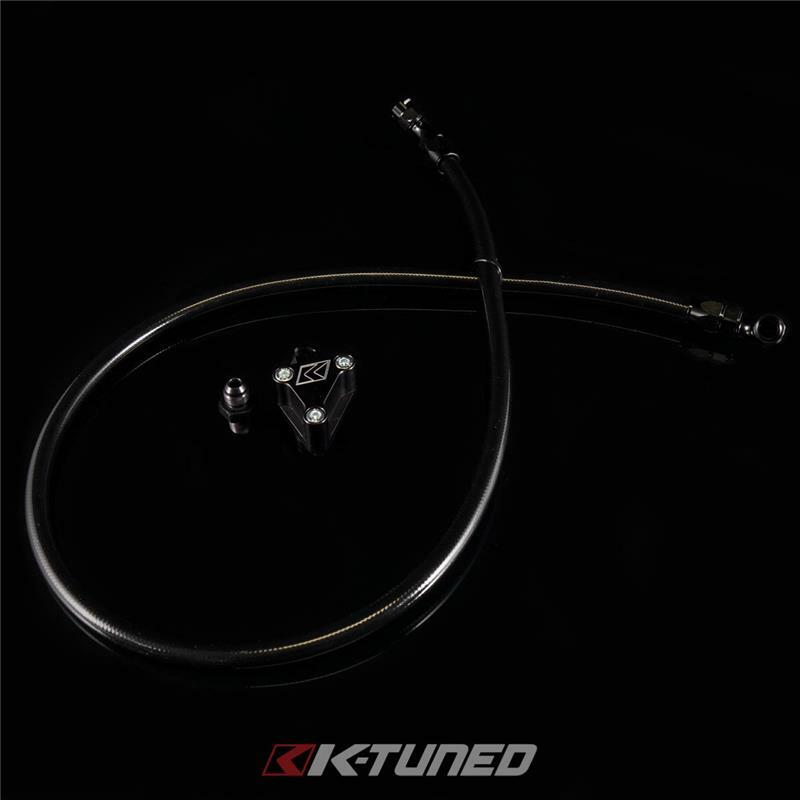 K-Tuned Power Steering Line Kit is a replacement kit for the RSX, and some swap applications. The line and fittings are designed to handle the extreme pressures that the power steering pump, which can see over 1,000 psi. This offers a clean and simple look while retaining functional power steering. The line features swivel ends and allows it to clear the stock mount stud. You can purchase the fitting on the pump alone if you are doing a custom setup.